I love browsing package designing and this site has all of it. 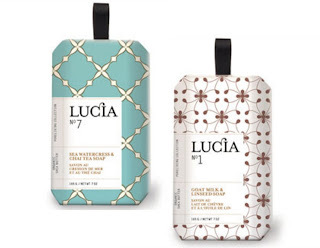 I came across these pretty wrapped up soaps by Lucia Soaps. The packaging is so fresh and pretty! Now I only wish I could scratch and snif the screen to smell them.